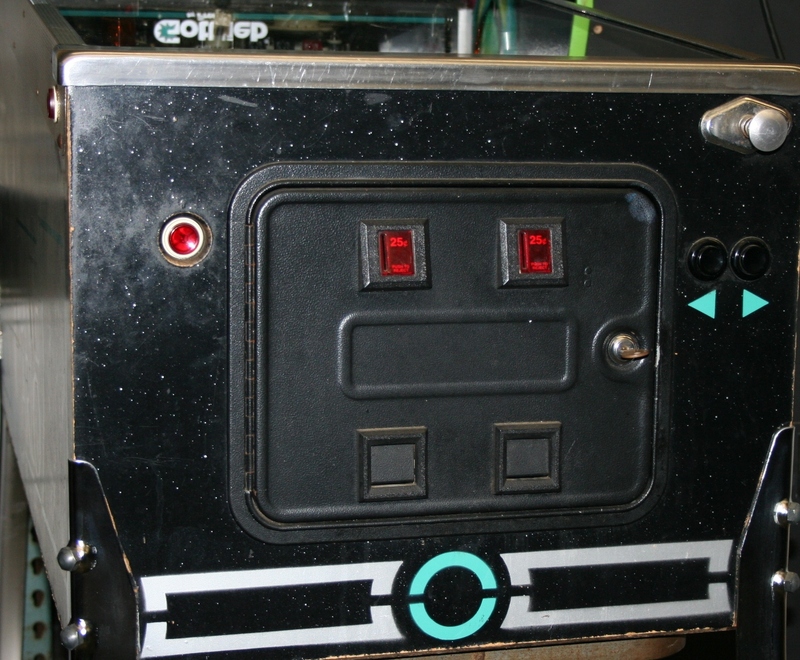 Coin Controls was one of the major manufacturers of coin doors through the ’80s and ’90s. These doors came in both pinball and over/under types. Coin Controls was eventually purchased by Wells Gardner, so a Wells Gardner door is the same door. Note that a Coin Controls door is not a Coinco door. After Coin Controls was purchased by Wells Gardner, the coin door business was purchased by Happ Controls (press release). Atari used both Coinco and Coin Controls over/under doors. 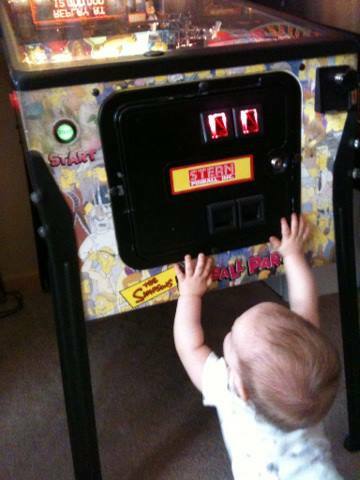 I don’t think they used many pinball-style doors on video games. 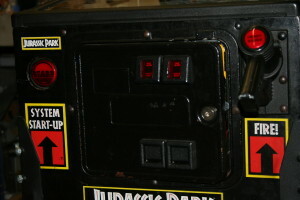 Coin Controls door with Dollar Bill Validator slot on a 1993 Data East Jurassic Park. Coin Controls made doors for many ’80s and ’90s pinball machines from Gottlieb, Data East, Sega, and Stern. Williams used them occasionally around the time they switched to dollar-bill validator doors. Early flyers for Data East games bragged that they were using Coin Controls doors. The 1992 Gottlieb parts catalog incorporates copies of a bunch of the Coin Controls documentation. 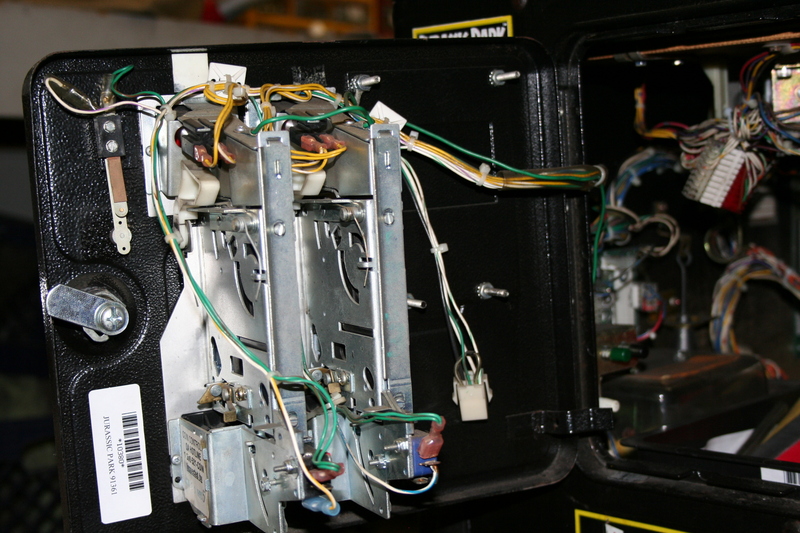 Internal view of Coin Controls DBV door. Cost reductions seem to have reduced the quality of these doors especially. That may just be because they were the only ones producing doors in the late ’90s when arcades were on the downswing. Early Coin Controls doors had good-quality reject buttons. Late quality doors do, too. But in the middle they made terrible ones where the reject shaft’s cross section looks like a +. The better ones, it’s a cylinder. It is easy to identify most of the bad ones because they’re broken off. 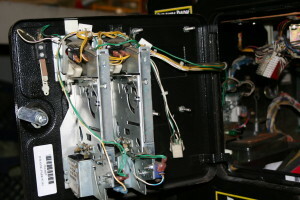 Coinco, also known as Coin Acceptors, is different from Coin Controls. Coin Controls doors look a lot like Coinco doors. However, if it has metric parts, it’s probably a Coin Controls door. More discussion. Happ Controls, now called Suzo-Happ, makes several types of coin doors, one of which is Coin Controls, and one of which isn’t. 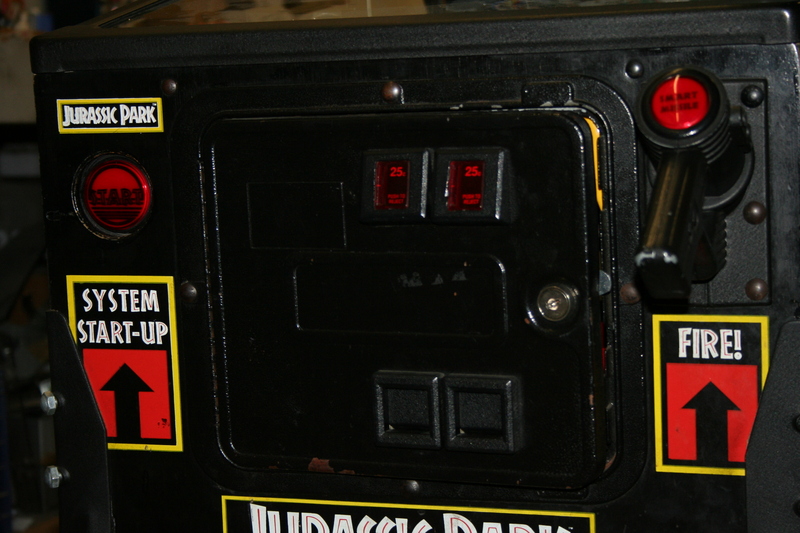 Coin Controls (Happ/WG) door on a Simpsons. Small child for scale. Note the inserts here look just like the Entropy inserts. Suzo-Happ (aka Happ Controls) has parts for Coin Controls doors here. They may also list them as being for Wells-Gardner doors, depending on how they reorganize their site. Note that Happ also makes parts for the Happ door, and they are not compatible.